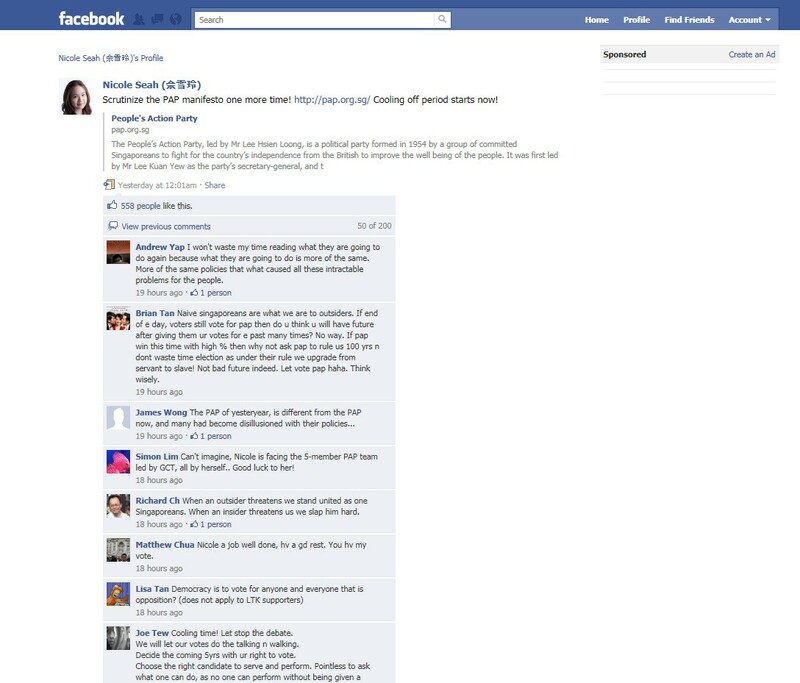 Soon after People's Action Party (PAP) candidate, Ms Tin Pei Ling, caught posting a Facebook comment on cooling-off day, National Solidarity Party (NSP) candidate, Ms Nicole Seah, was too being caught. 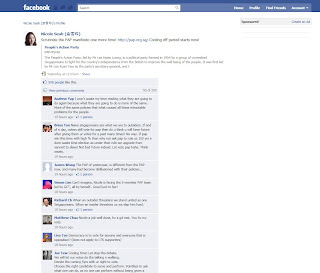 The following screen capture is the Wall Post made by Nicole Seah on her Facebook. Since the Polling Day falls on 7 May 2011, the day before that day, i.e., 6 May 2011, is designated as the Cooling-off Day. Cooling-off Day is a day when campaigning is disallowed and election advertising must not be published or displayed. This is to let voters reflect rationally on various issues raised at an election before going to the polls. Hmmm...page says posted on 5th May 2011? Do you have other snap shots?